We have about 150 Trumpeter Swans winter time in Burlington Bay area. They move to their nesting places this time of the year. Lovely image Karl! Perfect head angle and great control of the whites. I would raise the exposure and bring some more details into the black if it is possible. Awesome detail in sweet exposure.Superb portrait . Stunning head shot Karl. A click reveals even more detail. Nice portrait shot Karl! Great details. We thousands of these birds here in winter and I love to watch them take-off from water. I have seen many times swans just swim right in front of Bald Eagle sitting on the log and swans shows zero fear of eagle. 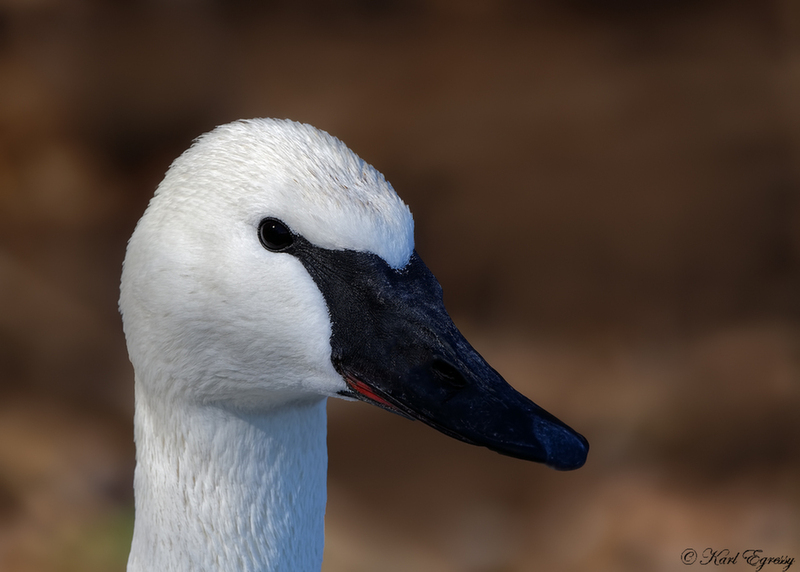 Very nice portrait of this swan, Karl. Beautiful, elegant birds and this is a wonderful portrait, Karl. A must click for the finer detail.